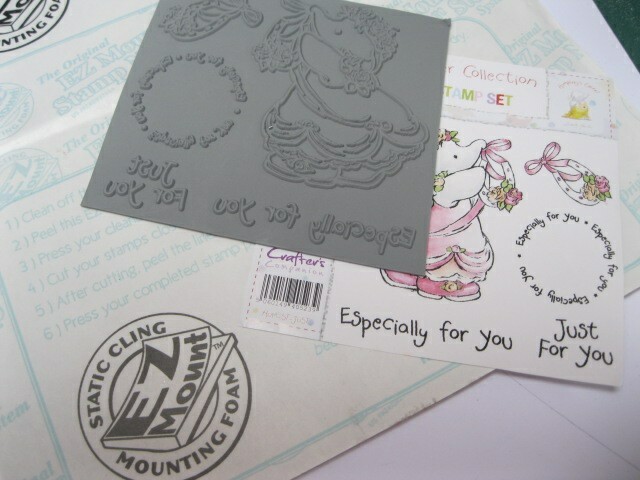 Mounting your stamps will help you to get the best results from the plain rubber ones that can be bought and so make you pleased every time you use them. Stamping images or verses is something many of us like to do as the main focal point to our designs as they can make all the difference to your finished cards. 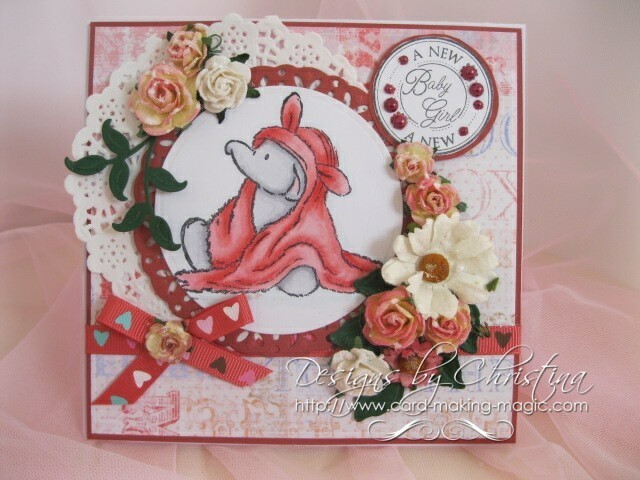 This baby card is made with an image from the Humphreys Corner Collection from Crafters Companion and is just one of many for you to choose from. 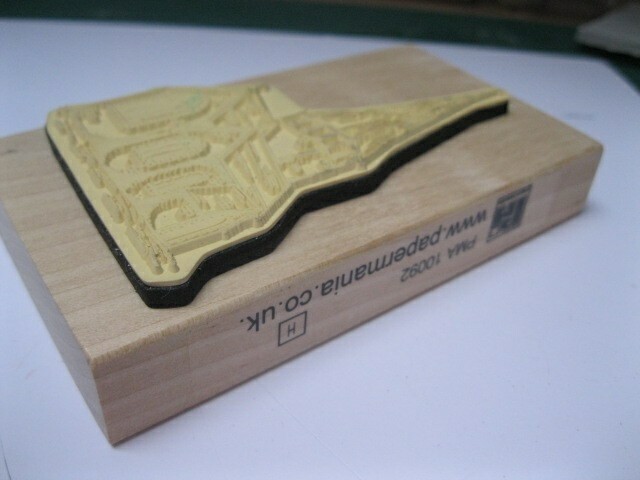 There are many ways to buy your stamps and on wooden blocks is probably the most expensive. It is also the most bulky way to store them too and takes up a lot of space. But now you have the choice of buying them in see though acrylic or polymer and they will just cling by themselves to your acrylic blocks. If after some time they lose the ability to self cling then all they need is a quick wash in some warm soapy water and they will be as good as new. 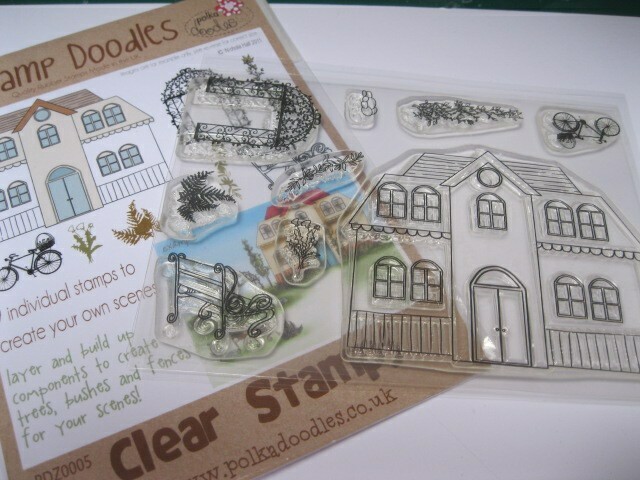 You can also buy the rubber sheets of stamps that will then need to be prepared by you so that you can use them. This makes them really cost reflective if stamping is what you enjoy doing. So watch the short video and see how you can add your own mount to your stamps and save yourself some money in the process. The mounting foam I have used is called EZ mount but there are other brand names to the same product. Just ask for mounting foam in your craft shop and they will know what you are referring too.